You have a chance to replace vanilla paintings in Minecraft Pocket Edition without changing anything else. 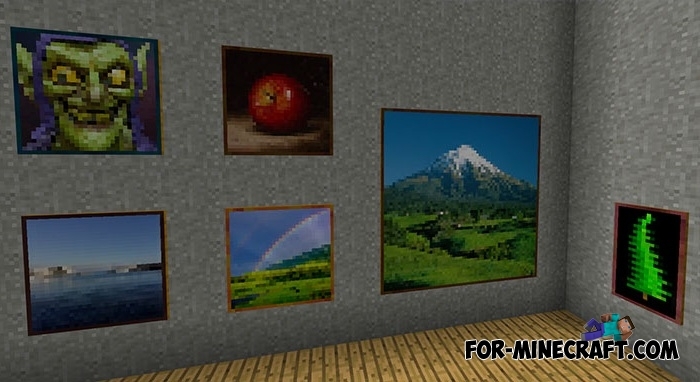 Paintings pack removes old and adds new pictures in the standard style of Minecraft. Each such painting is a pixel image: nature, mobs, art or something else. In general, new paintings perfectly complement furniture addons for Minecraft BE. For example, the FurniCraft addon will look even better with these pictures if you install both addons. If you have a graphic editor then try to draw something like that yourself, your pictures will perfectly decorate your house. 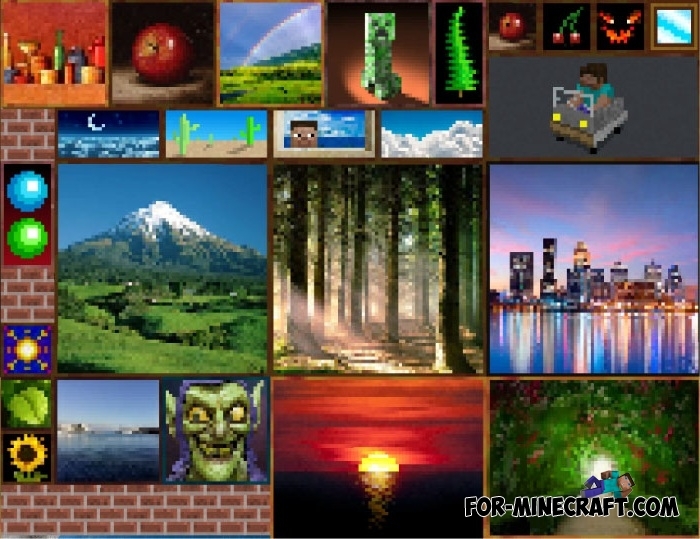 How to install MCPE Paintings pack?